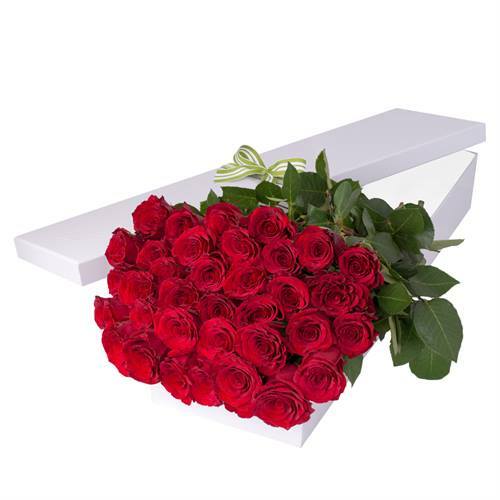 An exquisite presentation of red roses in individual water phials accompanied by delicious gourmet Chocolatier chocolates. Presented in our elegant gift box. 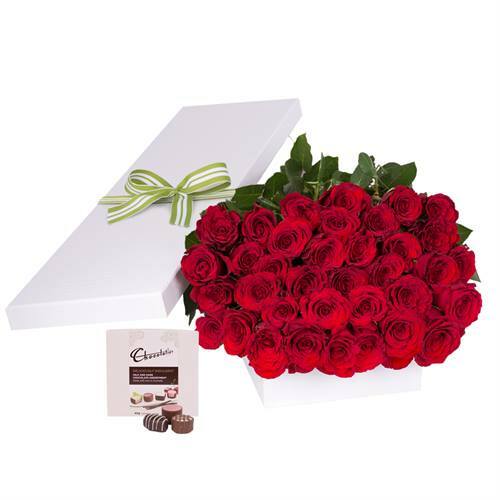 36 Red Roses with Chocs in Gift Box An exquisite presentation of red roses in individual water phials accompanied by delicious gourmet Chocolatier chocolates. Presented in our elegant gift box.